The Gold Medal Award is the highest and most prestigious of the EC National Awards, and is only awarded when the EC President and executive deem a recipient to have met or exceeded criteria in areas such as long and outstanding service as a builder of EC and equestrian sportnationally or internationally. 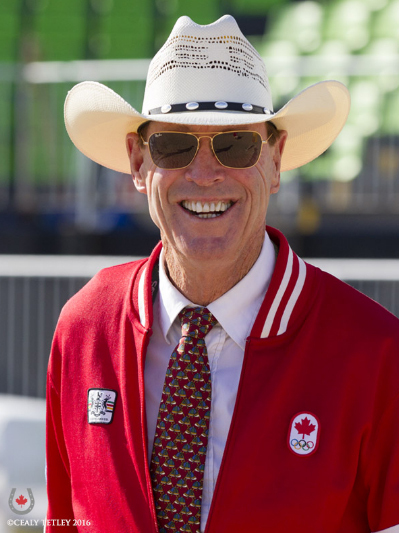 The EC executive was unanimous in their decision to name ‘Captain Canada’ Ian Millar of Perth, ON the recipient of the Gold Medal Award for 2018 in honour of his unparalleled achievements in show jumping across six decades. Ian’s accomplishments on the world stage are too numerous to fully cover. A 10-time Olympian, he holds the world record for the most Olympic Games appearances – a record that is unlikely to ever be matched. This includes his 2008 appearance, where, partnered with In Style, he helped the Canadian Show Jumping Team bring home the silver medal from the Beijing Olympics. In addition, Ian has nine medals from the Pan American Games to his credit, including two individual gold, and has earned a record 12 Canadian Show Jumping Championship titles and amassed over 100 grand prix wins. Ian is also a three-time winner of the coveted CP International Grand Prix at Spruce Meadows, including the $1.5 Million edition, presented by Rolex, in 2014 aboard Dixson. In fact, Ian has won over $3.5 million at the prestigious Spruce Meadows venue alone. 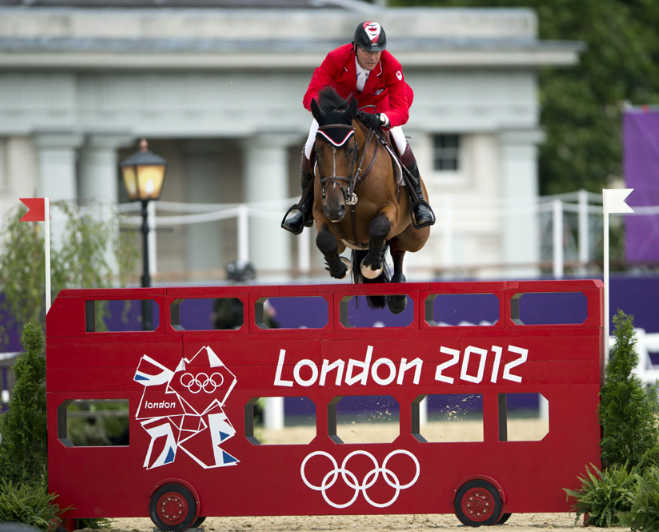 A staple of the Canadian Equestrian Team since the 1970s, Ian became a household name with his legendary partner Big Ben. Together, they dominated the international show jumping scene for two decades, winning everything from back-to-back FEI World Cup Finals indoors (1988 and 1989) to grand prix derbies in big outdoor fields (including the CP International at Spruce Meadows in 1987 and 1991). Ian took pride in engaging the public and sharing his famous horse with Canada. This was highlighted by the Big Ben Retirement Tour in 1994, which attracted hundreds of fans at each city along the circuit, and was one of many ways Ian has increased the prominence of equestrian sport in Canada, using his sports profile to educate and attract fans across the country. Out of the saddle, Ian has also influenced Canadian equestrian sport through his mentorship abilities. A High Performance 1 Certified Coach, he has helped to develop many top Canadian riders and trainers to ensure a continued strong foundation for the Canadian Show Jumping Team. This includes fellow Olympians, Mario Deslauriers and Jill Henselwood. Throughout his career, Ian has been involved in a number of charitable organizations, including the Canadian Therapeutic Riding Association and the Children’s Wish Foundation. These roles allow organizations to leverage his involvement to attract funding and support for their important programs. As a testament to Ian’s importance to Canadian sport, he has maintained longstanding partnerships with a number of major Canadian businesses, including BMO Financial Group and AMJ Campbell. The decision to partner with an equestrian athlete was the result of Ian’s vision to engage the general public, and the media campaigns brought about by these relationships have served to greatly enhance the visibility of equestrian sport in Canada. 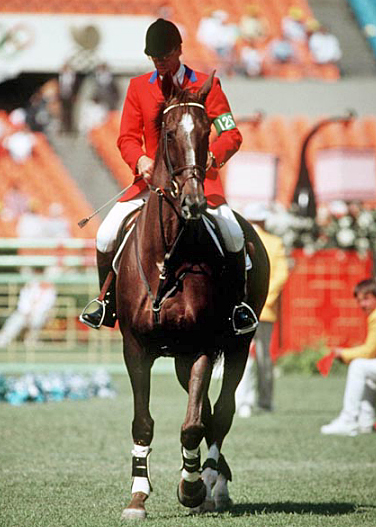 A well-respected horseman at home and around the world, Ian was made a Member of the Order of Canada in 1986 and together with Big Ben, was inducted into the Canadian Sports Hall of Fame in 1996. He was also presented with an honourary doctorate from the University of Guelph in 2005 and joined the Ontario Sports Hall of Fame in 2013. At the age of 72, Ian continues to be enthusiastic about competing at the highest levels of show jumping. His love for the sport and horses is second to none, and he has become a role model for generations of horse people in Canada and around the world. In light of Ian’s extraordinary and ongoing career, and the incredible impact he has had on Canadian equestrian sport, the EC executive is honoured to add the Gold Medal Award to his many accolades.